Mike Young is a 1986 Emory & Henry graduate. Mike Young played basketball at Emory & Henry for legendary coach Bob Johnson. He came back after graduation to serve his alma mater as an assistant coach – one of several assistants who have had a great career in athletics. Most recently Mike has made a name for himself, and his team, as head coach for the Wofford College men’s basketball team – which just competed in the 2019 NCAA tournament, beating Seton Hall and advancing to a second round of play for the first time in Wofford history. He is a member of the Emory & Henry Sports Hall of Fame for his success in coaching. 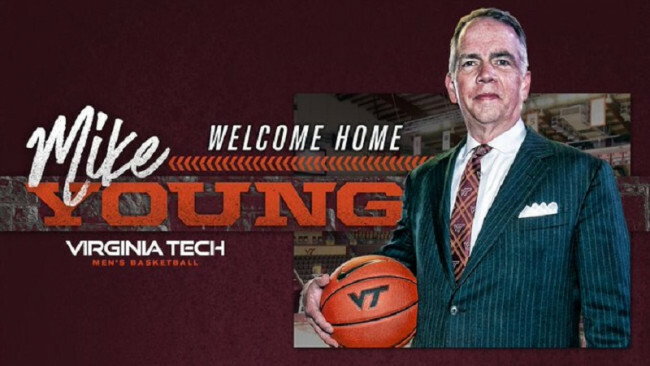 Now, the Radford, Virginia, native is making history again, as he heads off to Virginia Tech to be their head men’s basketball coach. Read more about Mike’s exciting career on the Wofford College sports page or the Virginia Tech basketball page. Mike Young (E&H '86) cutting down the net after his Wofford team won the 2019 SOCON championship.